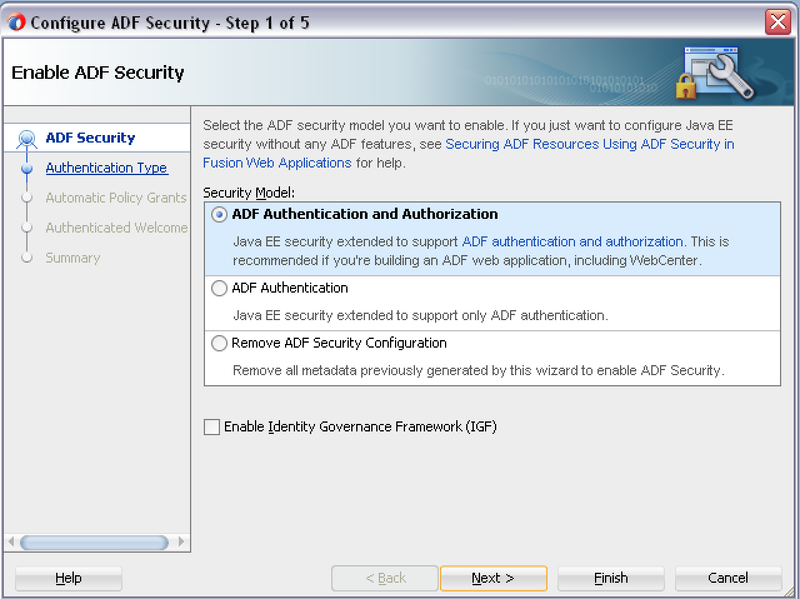 Is this functionality available for ADF Essentials ? 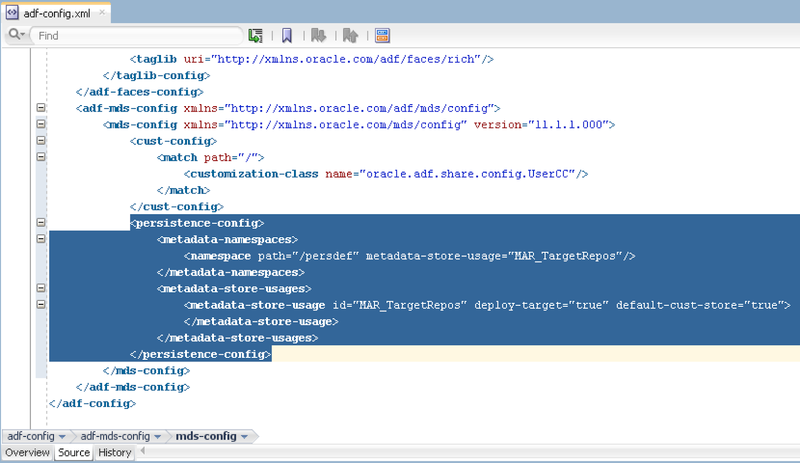 I was testing same functionality on Glassfish, it doesnt seem to work, is not able to write MDS customizations on disk. May be there is some workaround, I will need to investigate. It doesn't work in simple way, just as it works on WLS. 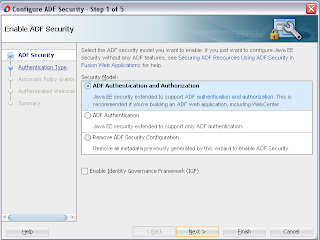 from my understanding MDS is not supported in ADF Essentials so it will not work. Thanks for update - officially yes, not included. 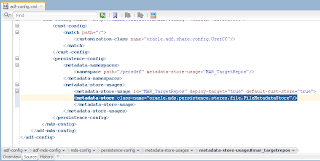 However, technically it should work - as MDS API functionality and classes are recognized. The only problem - it doesn't write to MDS repository, I will continue to research it and may be will find out one or another hack. I have encountered a problem related to this af:query component, need your help. I have an search table (af:table) attached to af:query component. 1. 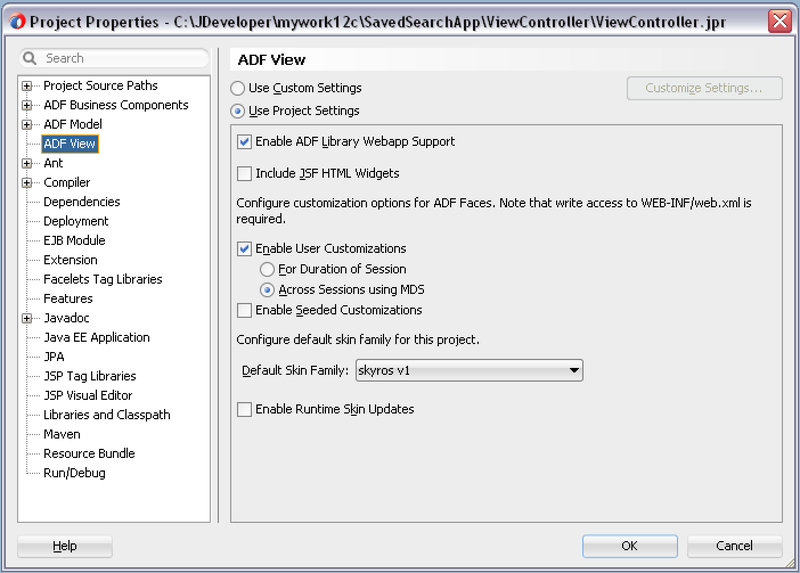 After performing any search I am saving that search (by unchecking the run automatically option). 2. Now using personalize option I am deleting the search. 3. 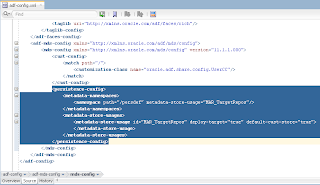 Now without clicking on search I am trying to open an item previously present in search table, getting null pointer exception. Can you please suggest me what may be the possible cause of exception. I mean I should perform search first but previously presented item should not return a null. Great post as always. I need to find the skin selector id of the new message for warning to save the changed search. I need to translate into my language and use in my skin, as ADF does not support BG. 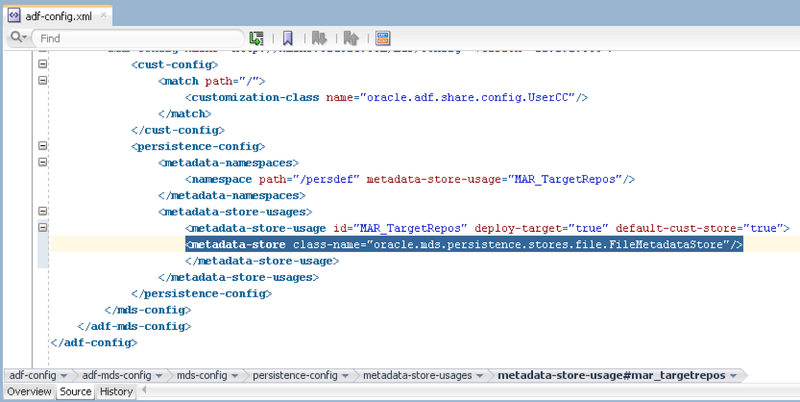 I looked at http://docs.oracle.com/middleware/1212/adf/TROSS/toc.htm but it is not listed. Do you know how to go about finding the id of the dialog title "Warning", and the message inside the dialog? I have one more question. 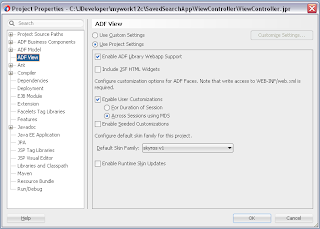 As soon as I enable user customizations in project properties, the visual editor of pages or fragments is broken. Have you experienced this, any tips? I am on Windows 7 and 64bit JDev. Thanks in advance. Is it possible to exclude few search items from being saved along with saved searches. I mean for example, I have 5 items in search panel and want to save only 4 when user selects to save this current search. Can we do this ? How can we achieve this .. is there any parameter that can handle this in ADF view criteria or elsewhere. This post is excellent and very helpful. Now, I have a requirement which is just an enhancement of your post. Suppose I added one more field in the af:query. Ideally it is displayed along with the delete icon. After that I Save the state. But now the delete icon is not available after click of Save button. I want the delete icon to be still there after I have clicked Saved button. In other words, want to Update a user-created saved search. When I use Saved Query option it works fine however I lost my column reordering on the table component everytime I login back or select a different saved query. If I disable the save query feature then the column reordering for the table component is retained. Can we create a new Saved Search programmatically. If so, Could you please provide some steps.